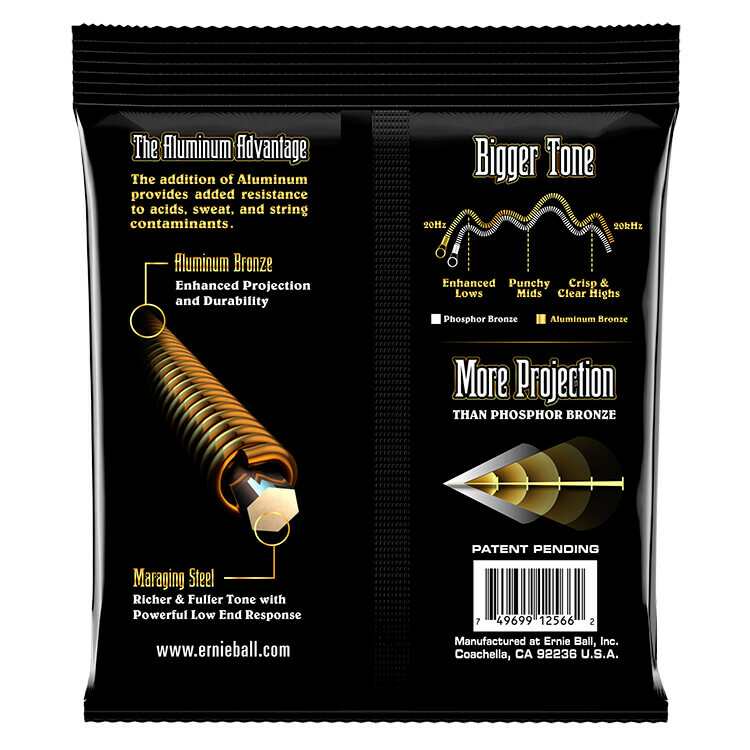 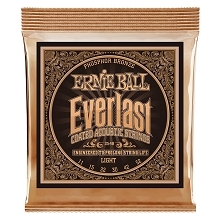 Ernie Ball Aluminum Bronze Acoustic Guitar Strings have more projection and clarity compared to traditional bronze strings. 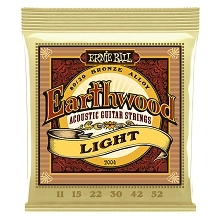 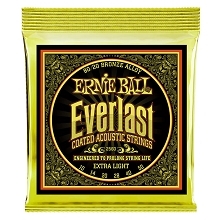 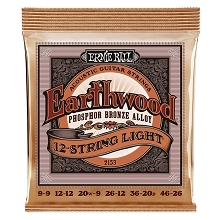 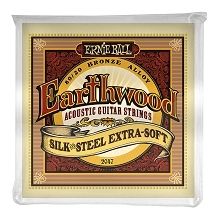 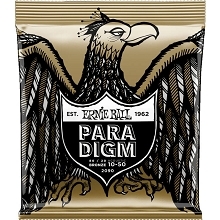 Ernie Ball Aluminum Bronze Acoustic Guitar Strings also have improved corrosion resistance. 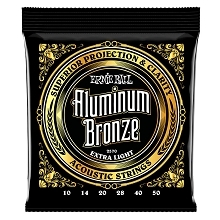 Aluminum Bronze acoustic strings are made with Ernie Ball Steel Hex Cores and Aluminum Bronze wrap wire which provide more pronounced lows coupled with crisp brilliant highs. 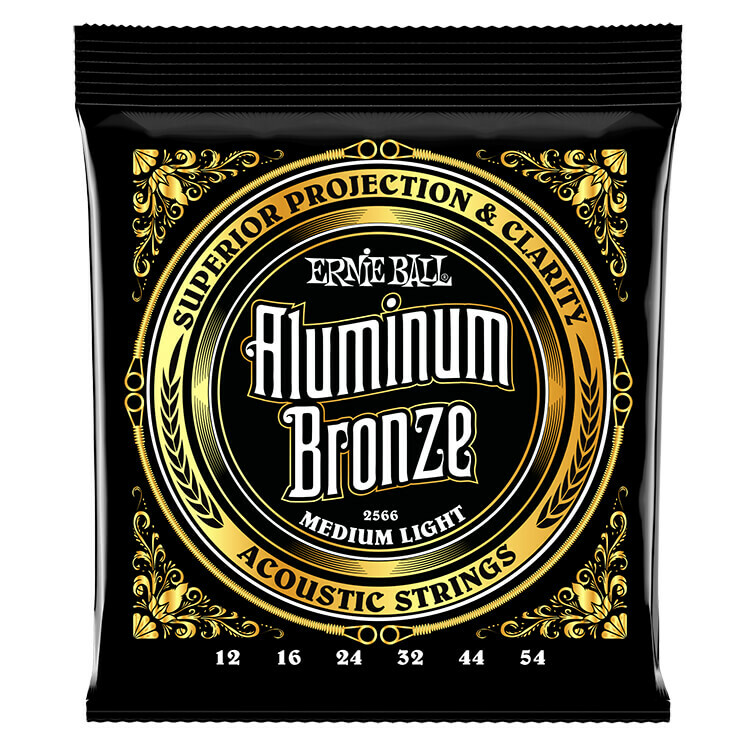 Ernie Ball Aluminum Bronze strings are made from a blend of copper and aluminum specifically tailored for acoustic guitars.